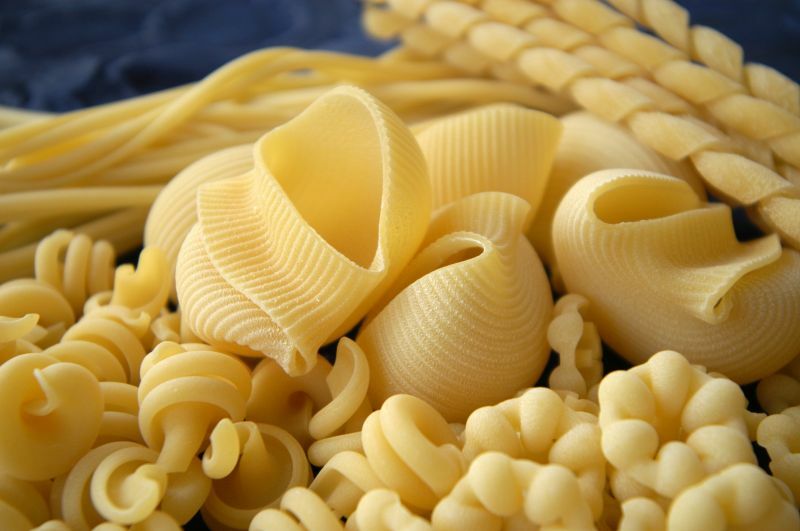 There are more than 600 different pasta shapes made around the world. Thomas Jefferson, America’s third President, is credited with bringing pasta to America in 1789. ‘Al dente’ is used to describe pasta when it is cooked to perfection. ‘Al dente’ in Italian literally means “to the tooth.” Pasta that is al dente should not be overly firm, nor should it be overly soft. The word “pasta” comes from the Italian for paste, meaning a combination of durum wheat semolina and water. Pasta existed for thousands of years before anyone ever thought to put tomato sauce on it. One reason is that tomatoes were not grown in Europe until the Spanish explorer Cortez brought them back to Europe from Mexico in 1519. If Italians ate their average yearly amount of pasta in spaghetti shape (long thin pasta), they would eat enough pasta to wind around the earth 15,000 times! Around the year 1000, the first documented recipe for pasta appeared in the book “De Arte Coquinaria per Vermicelli e Maccaroni Siciliani” (The Art of Cooking Sicilian Macaroni and Vermicelli), written by Martino Corno, chef to the powerful Patriarch of Aquileia. In the 19th century, the industrial revolution and modern technology caused the production of pasta to be standardized and mechanized. This allowed pasta production to spread throughout Italy and surrounding nations, and soon afterwards to spread to the furthest corners of the globe. This made pasta one of the world’s best-known and enjoyed foods.